Alan Overd is a Vice President in CRA’s London office. He studied economics at Cambridge University and the University of Oxford, where he held a lectureship at Keble College. Prior to joining Lexecon Ltd in 1995, he worked for Oxera. He has handled a wide range of competition cases in various jurisdictions. Recent UK merger cases include Hammerson/Grand Central, BCA Marketplace/SMA, Bauer Media/Absolute Radio and Pork Farms/Kerry Foods. 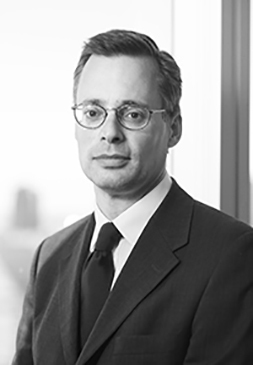 He also has extensive experience in UK market investigations and dominance cases across a range of industries including energy (for Centrica), banking (for Lloyds TSB), supermarkets (for Asda) and pharmaceuticals (clients include Astra Zeneca and Reckitt Benckiser). He has handled a number of European merger investigations, including Refresco/Pride Foods, Schlumberger/Cameron, GrandMet/Guinness, Price Waterhouse/Coopers & Lybrand, EMI/Warner Music, Ernst & Young/Andersen, adidas/Reebok and MyTravel/Thomas Cook. He led the Lexecon Ltd team in Airtours’ appeal to the Court of First Instance over the Airtours/First Choice decision. This was the first successful appeal to the court made by the parties to a merger. He has written extensively on a range of competition and regulatory issues. His article “Sponsored Entry” won the Best Business Economics Article in the 2013 Antitrust Writing Awards.